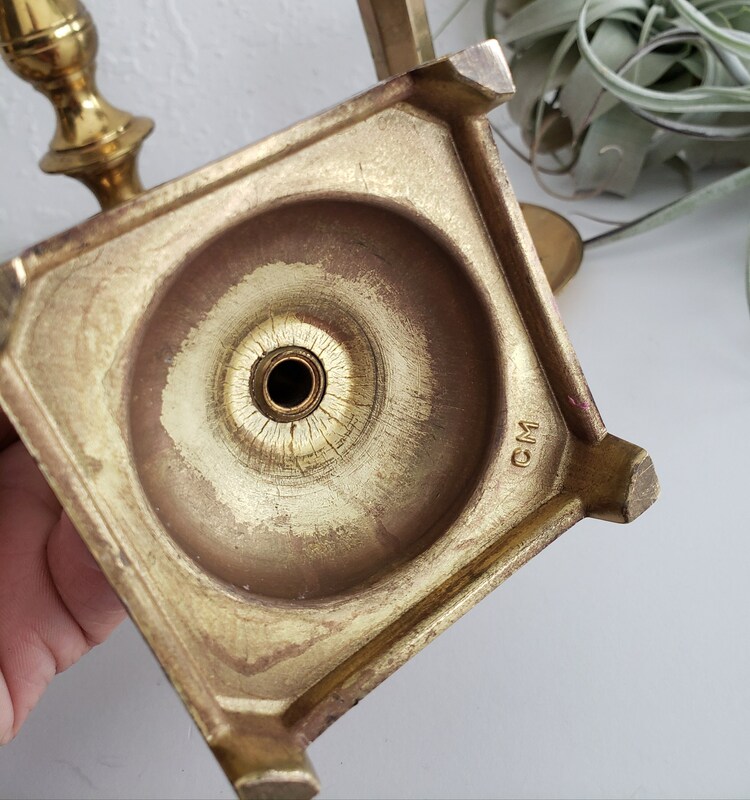 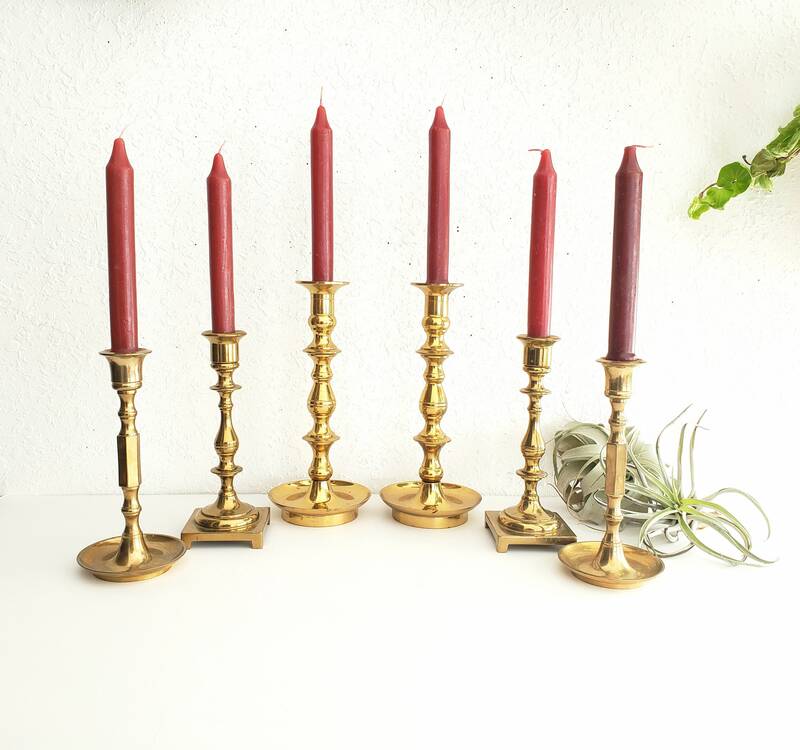 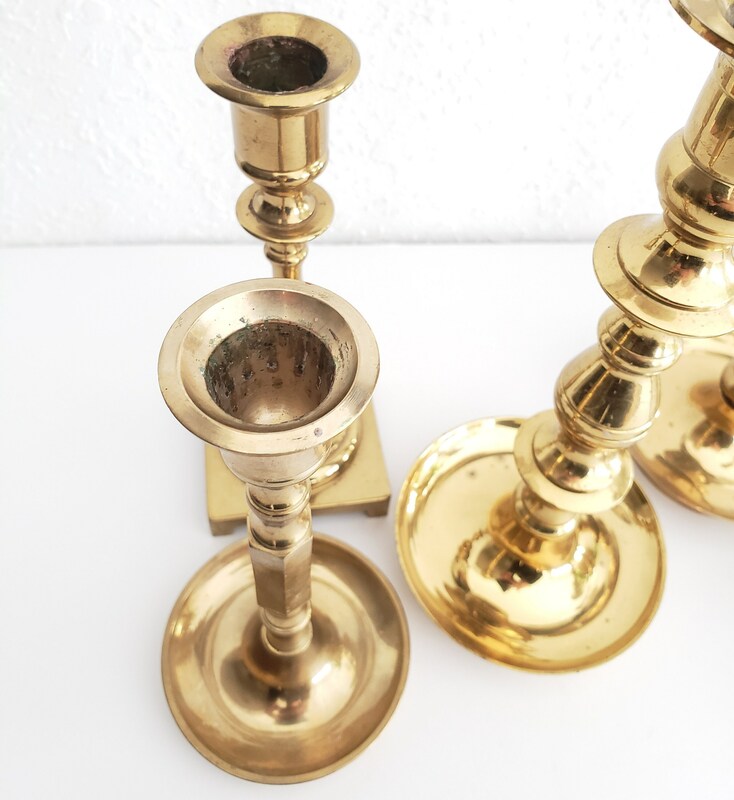 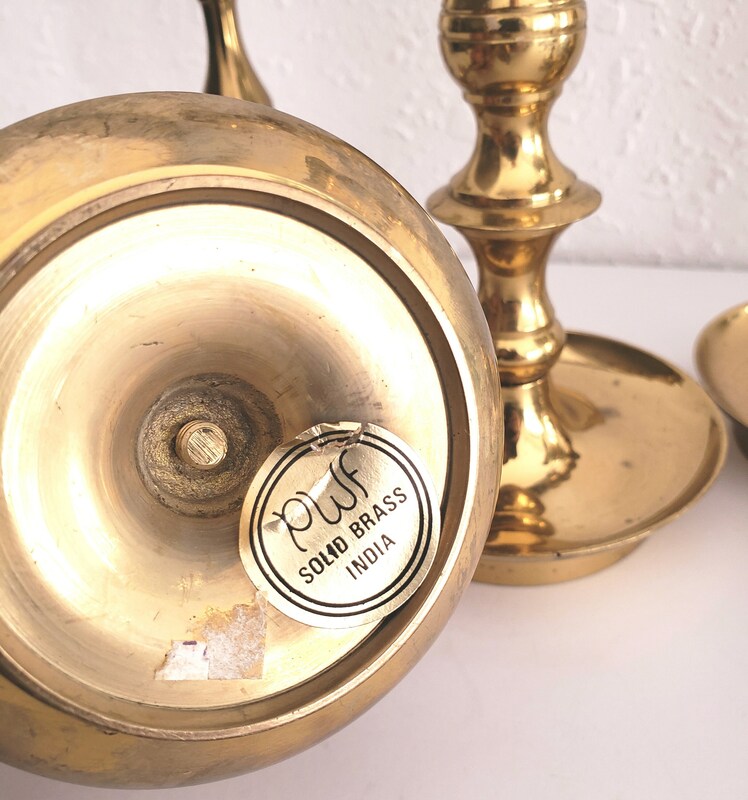 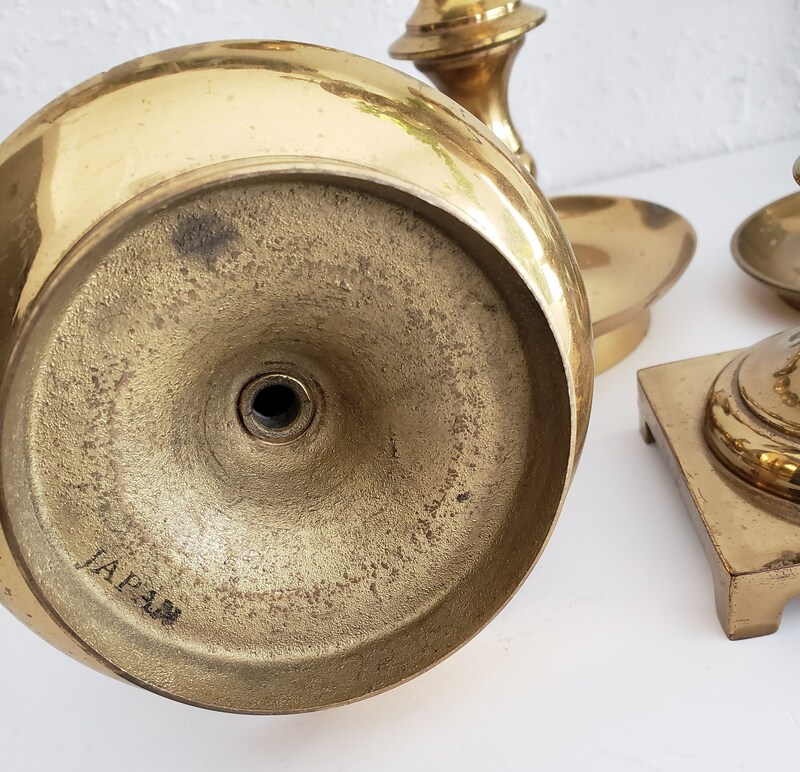 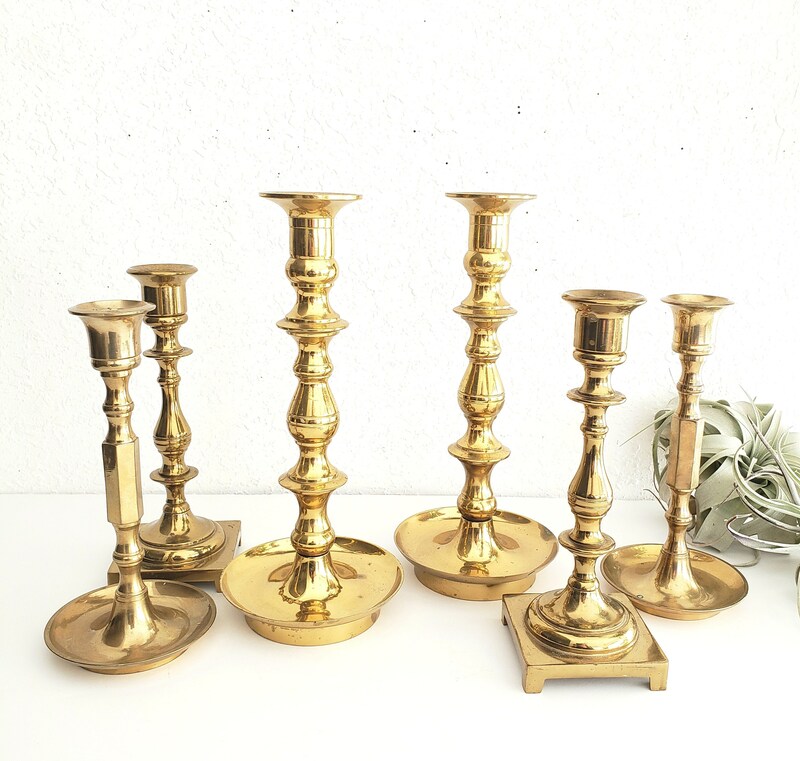 Beautiful mixed set of 6 brass Candlestick holders. 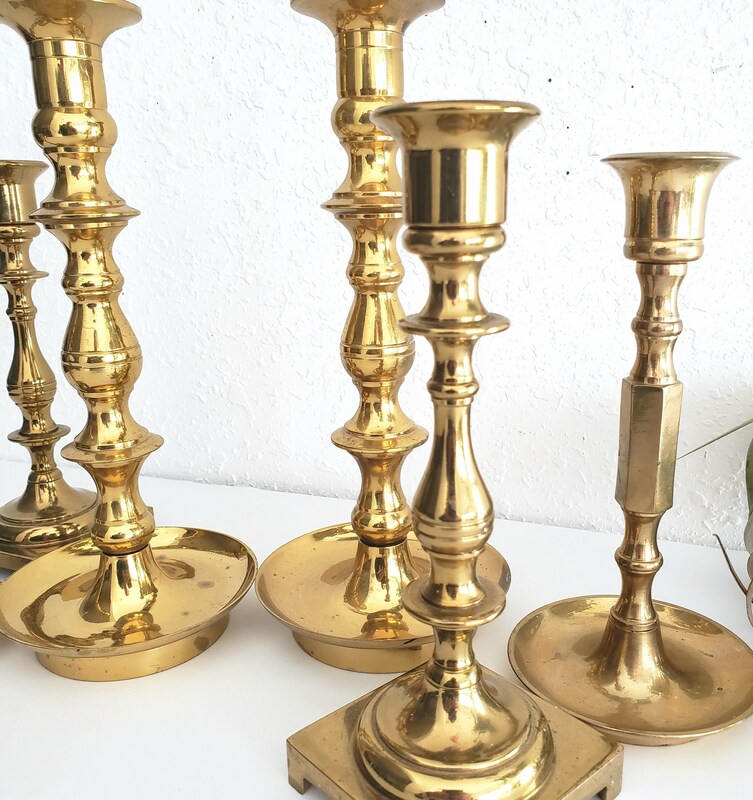 These holders were collected to use for a mantle or even as a centerpiece. 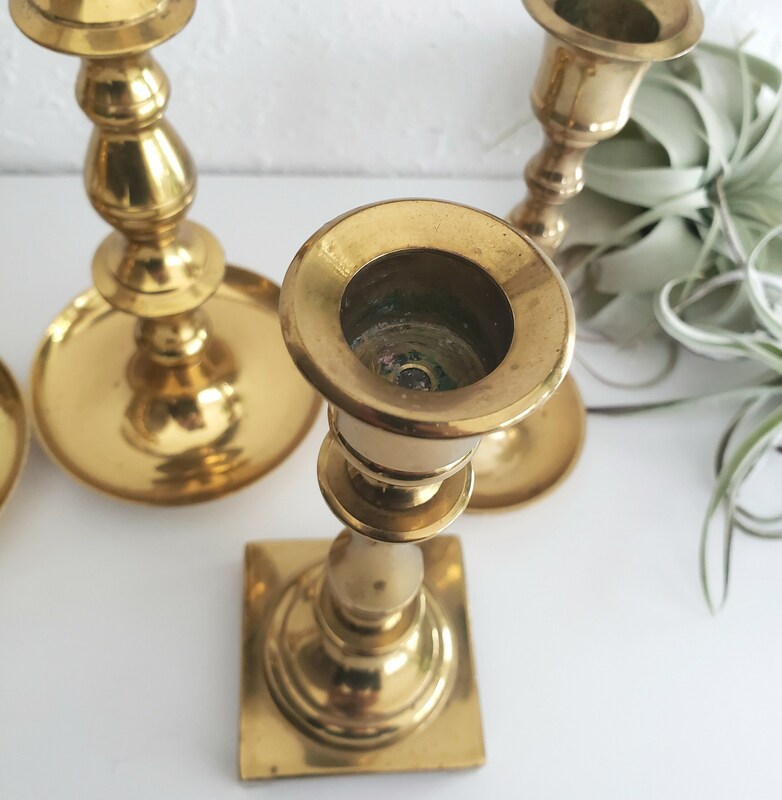 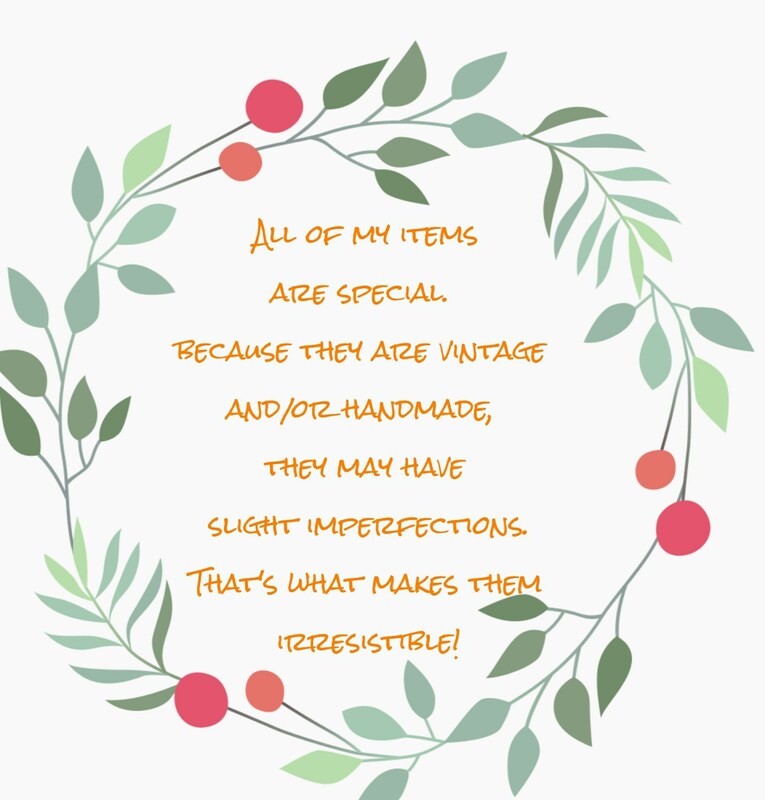 These pieces could use some extra polishing but overall in great vintage condition.